Abstract: The spectacular progress the media describes as “big data” has little to do with the data. Data, after all, is becoming commoditized, less expensive, and an automatic byproduct of other changes in organizations and society. More data alone doesn’t generate insights; it often merely makes data analysis harder. The real revolution isn’t about the data, it is about the stunning progress in the statistical and other methods of extracting insights from the data. I illustrate these points with a wide range of examples from research I’ve participated in, including forecasting the solvency of Social Security; reverse engineering Chinese government censorship and fabrication of social media posts; how the same methods can estimate the causes of death in developing countries and understand billions of social media posts; an educational innovation that guarantee that students will do the reading; among others. Bio: Gary King is the Albert J. Weatherhead III University Professor at Harvard University — one of 24 with the title of University Professor, Harvard’s most distinguished faculty position. He is based in the Department of Government (in the Faculty of Arts and Sciences) and serves as Director of the Institute for Quantitative Social Science. King develops and applies empirical methods in many areas of social science research, focusing on innovations that span the range from statistical theory to practical application. King is an elected Fellow in 8 honorary societies (National Academy of Sciences 2010, National Academy of Social Insurance 2014, American Statistical Association 2009, American Association for the Advancement of Science 2004, American Academy of Arts and Sciences 1998, Society for Political Methodology 2008, American Academy of Political and Social Science 2004, and the Guggenheim Foundation 1994-5) and has won more than 40 “best of” awards for his work (including the Warren E. Miller Award for Meritorious Service to the Social Sciences 2015, Career Achievement Award 2010, McGraw-Hill Award 2006, Durr Award 2005, Gosnell Prize 1999 and 1997, Warren Miller Prize 2008, Outstanding Statistical Application Award 2000, Donald Campbell Award 1997, Eulau Award 1995, Mills Award 1993, Pi Sigma Alpha Award 2005, 1998, and 1993, APSA Research Software Award 2005, 1997, 1994, and 1992, Okidata Best Research Software Award 1999, Okidata Best Research Web Site Award 1999, Mendelsohn Excellence in Mentoring Award 2011, Kellogg/Notre Dame Award 2014, among others). King was elected President of the Society for Political Methodology (1997-1999) and Vice President of the American Political Science Association (2003-2004). He has been a member of the Senior Editorial Board at Science (2015-), Visiting Fellow at Oxford (1994), and Senior Science Adviser to the World Health Organization (1998-2003). His more than 150 journal articles, 20 open source software packages, and 8 books span most aspects of political methodology, many fields of political science, and several other scholarly disciplines. King’s work is widely read across scholarly fields and beyond academia. 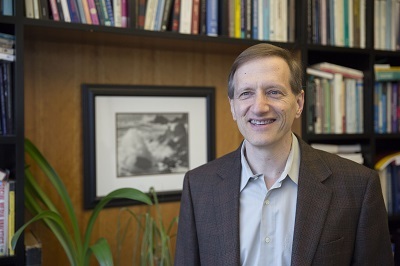 He was listed as the most cited political scientist of his cohort; among the group of “political scientists who have made the most important theoretical contributions” to the discipline “from its beginnings in the late-19th century to the present”; and on ISI’s list of the most highly cited researchers across the social sciences. His work on legislative redistricting has been used in most American states by legislators, judges, lawyers, political parties, minority groups, and private citizens, as well as the U.S. Supreme Court. His work on inferring individual behavior from aggregate data has been used in as many states by these groups, and in many other practical contexts. His contributions to methods for achieving cross-cultural comparability in survey research have been used in surveys in over eighty countries by researchers, governments, and private concerns. King led an evaluation of the Mexican universal health insurance program, which included the largest randomized health policy experiment to date. He has reverse engineered Chinese censorship, and worked on a wide range of other projects. The statistical methods and software he develops are used extensively in academia, government, consulting, and private industry. He is a founder, and an inventor of the original technology for, Learning Catalytics (acquired by Pearson), Crimson Hexagon, Perusall, among others. King has had many students and postdocs, many of whom now hold faculty positions at leading universities and companies. He has collaborated with more than 150 scholars, including many of his students, on research for publication. He has served on more than 30 editorial boards; on the governing councils of the American Political Science Association, Inter-university Consortium for Political and Social Research, the Society for Political Methodology, and the Midwest Political Science Association; and on several National Research Council and National Science Foundation panels.